Scotch is poised to make a comeback despite flat sales over the last five years, the IWSR has claimed. The International Wine and Spirits Research (IWSR) argued that despite six of the leading blended Scotch brands seeing falling sales between 2012-16, strong underlying fundamentals within the Scottish whisky category pointed to improving prospects for the category. Currently Scotch makes up for around 17% of the total spirits category, or around 44% of total whisky category, the IWSR said, compared to US whiskey (6.9%), Canadian whisky (3.8%), Irish whiskey (1.9%) and Japanese (1.3%). “The loss of momentum in Scotch whisky is evident when one looks at the recent volume performance of the industry’s leading blended brands,” IWSR’s financial analyst Graeme Eadie pointed out in the report. He also mentioned that the recent downturn came from sharp falls in key emerging markets such as Brazil, Russia, Thailand, South Korea, China and Venezuela and although recovery was not expected in the short term, the main damage “had already been done”. But the impact was relatively limited, he noted, as volumes were modest compared to the wider international market for Scotch. “The risk of these markets acting as a significant drag on future growth is therefore now relatively small,” he wrote. The report pointed out that Scotch had “nearly all of the key attractions to thrive in today’s fast-changing consumer environment” – primarily authenticity and ‘premiumisation,’ and that malt whisky occupied the “sweet spot” of the spirits industry. The top 10 malt whisky brands were in very strong double-digit growth, with Monkey Shoulder up 477% between 2012-16. As well as promoting its heritage, tradition and craft credential more than “any other category except maybe Cognac”, the move towards “less but better” had supported the growth of Scotch, Eadie said, due to its prevalence at every price point, enabling consumer to trade up easily. 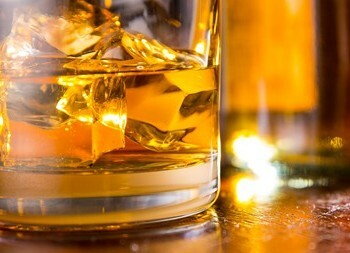 However, the report argued that innovation was largely missing from the category, although flavour extensions in American and Canadian whiskey could cast a halo over Scotch, by encouraging new consumers to buy dark spirits. It also pointed to the rise of fledgling small distilleries that could kick-start a craft movement in Scotch, which has largely been missing. “After what has been a fallow few years, we would anticipate much more attractive rates of growth for those companies with a high exposure to Scotch whisky,” the report concluded. Look out for our upcoming top ten global whisky brands, out shortly, but for a round-up of top ten global gin brands, click here.